Construction workers hurt in jobsite accidents may be able to pursue claims in addition to workers’ compensation. Depending on the nature of the accident, damages may be available for negligent conduct (by parties other than the employer), defective products, wrongful death, and more. Because of how these claims intersect with the workers’ compensation system, it is important to consult an attorney with experience handling similar cases. Kenison Law Office is prepared to handle all legal claims arising from serious accidents at construction sites. With decades of experience helping injury victims in our state, John B. Kenison, Jr. understands what must be done to protect your right to compensation. If you would like to speak to a construction accidents lawyer, please contact our Manchester, NH, office. 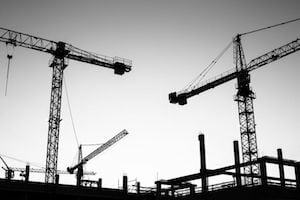 Often there are multiple parties on construction sites, including contractors, subcontractors, owners, and engineers. A construction accident lawyer gathers information from all parties because they can all share in the liability. Ordinarily, someone who is injured in an accident can bring a negligence claim against the responsible party. Say you agree to help put new shingles on your neighbor’s roof, for example. While working on the roof, your neighbor is careless and bumps into you, causing you to fall to the ground. You can bring a personal injury claim against your neighbor for all of your damages, including pain and suffering. Work accidents are different. If you fall while working as an employee of a roofing company, you cannot bring a negligence claim against your employer or co-workers. Instead, you must file a workers’ compensation claim. It is a no-fault system, meaning you do not need to prove that anyone was careless. On the other hand, you may lose the right to significant compensation, since you cannot recover for pain and suffering (and certain other kinds of damages) in a workers’ comp case. There may be multiple owners, contractors, subcontractors, engineers, suppliers, and other parties working at a construction site. What if someone outside an employee’s company causes an accident? The good news is that the injured employee may be able to bring a negligence claim against the responsible party. Navigating the laws and regulations involved in a construction accident requires the assistance of a professional. Workers’ compensation laws will not prevent a third-party negligence claim of this sort. However, the employee will be required to repay any workers’ comp benefits previously received. The funds will be taken out of the personal injury settlement before it is disbursed. By statute, there will be a lien against the settlement to ensure this happens. Mr. Kenison is an experienced personal injury lawyer. As with other kinds of liens, he may be able to negotiate the amount that must be repaid to workers’ comp in order to facilitate settlement of the third-party negligence case. He may also be able to uncover additional legal claims unaffected by workers’ comp for things like intentional conduct or toxic substance exposure. Construction workers must be tough in order to perform their jobs. After an injury, however, this mentality is problematic. Failing to seek ongoing medical treatment is the worst mistake an injury victim can make. Proper treatment is crucial for the healing process, and it is crucial for establishing a claim. An injury case cannot succeed without medical documentation. Navigating the laws and regulations involved in a construction accident requires the assistance of a professional. Mr. Kenison will explain what to expect as your case moves through the claims process and he can help you develop a winning strategy in the meantime. Take the first step by contacting our office.